Dr. Bonham always wanted to help people. While attending Irmo High School in 1975, Dr. Bonham was immediately drawn to health sciences. Having always excelled in the fields of science and mathematics, Dr. Bonham was drawn naturally to chiropractic. After graduating Irmo High School, Dr. Bonham attended Spartanburg Methodist College. At that time he developed a lot of problems sleeping on a variety of bad mattresses and having suffered a lot of injuries while playing baseball as a youth. Dr. Bonham initially sought out care with a medical doctor and was prescribed medications. He quickly realized that this only covered the symptoms but did not actually treat the problem. At that point, Dr. Bonham searched for an alternative. One afternoon a friend of his recommended that he go to a chiropractor. He went to a chiropractor in Spartanburg, who gave him a full spine adjustment and x-rays. He couldn’t believe it, but after years of suffering with chronic low-back, neck and mid-back pain, he was pain free! The headaches, the neck and shoulder pain were gone! So Dr. Bonham suddenly had a keen interest in chiropractic and found his life calling. He knew right away that he wanted to be a chiropractor. After that Dr. Bonham changed his major and enrolled in Sherman Chiropractic College in Spartanburg, SC. After graduating chiropractic school he was hired by the Chairman of the Board of Chiropractic Examiners at that time, Richard Mooneyham and completed an 18 month associate ship with him. After that Dr. Bonham opened his office in West Columbia where he practices now. He continued his education with National Chiropractic College getting additional training in physical therapy, physical diagnosis, radiology of trauma, casting, treatment of the knee, ankle foot, elbow, shoulder, wrist and hand, impairment rating and disability evaluation. Dr. Bonham was lucky enough to study under some of the best chiropractors in South Carolina and now has accumulated over 26 years of chiropractic experience. Dr. Bonham has traveled throughout the United States doing continuing education and furthering his development of chiropractic. Dr. Bonham believes that his well rounded experience and exposure to the chiropractic profession has gained him a wide array of knowledge in treatment of a variety of problems including headaches, neck/back pain, problems of the knee, ankle, foot, elbow, shoulder, wrist and hand, tendonitis, sciatic nerve problems, herniated disc and other associated spinal related conditions. At this point Dr. Bonham draws patients from around the midlands area and further who travel from out of town to seek out Dr. Bonham’s expertise and experience of treatments of acute and chronic conditions. Dr. Bonham has served the community for over 26 years and places extreme emphasis on the evaluation and gentle treatment of spinal related conditions for the purposes of alleviating pain and suffering of the people in the midlands area. 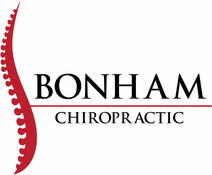 At the Bonham Chiropractic Center, Dr. Bonham strives to bring quality healthcare at an affordable price with reasonable care plans, modern equipment and gentle care. 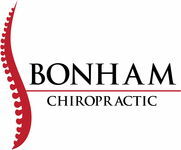 As we say at Bonham Chiropractic “We’ve got your back”! Dr. Mubarak always wanted to help people; his goal was to become a medical doctor. When he was 20 years old, he was moving a desk and developed severe back pain and right sciatic pain. After medical care was unsuccessful, he decided to try Chiropractic care. After receiving Chiropractic care from Bonham Chiropractic Center he began feeling amazing; his back and sciatic leg pain no longer bothered him. In addition, Dr. Mubarak had suffered for years with chronic sinus congestion, however under Chiropractic care he had for the first time in years, 100% resolution of his sinus problems. These two experiences changed his life forever. Dr. Mubarak knew without a doubt, this was the answer to helping people. Instead of just treating the symptoms of disease with medication and/or surgery he realized that the answer lied in locating and treating the underlying cause which is spinal misalignment, or vertebral subluxation. Dr. Mubarak decided to become a doctor of Chiropractic so he could help people like he had been helped without risky drugs and surgery. Dr. Mubarak graduated from Lexington High School in 1995. He then graduated from the University of South Carolina in 1999 and Sherman College of Straight Chiropractic in 2002. After graduation Dr. Mubarak returned to his home town and started practicing his passion, Chiropractic. In Chiropractic school Dr. Mubarak was president of the Gonstead Study Club-during which time he helped to further the advancement of specific scientific Chiropractic adjusting. He went on to study under some of the best instructors of the Gonstead technique and has since spent thousands of hours perfecting the technique which is one of the best Chiropractic adjusting techniques of all time. Amongst other studies, Dr. Mubarak has been certified in the analysis and adjustment of infants. He has additional training in extremity analysis and adjusting, therapeutic modalities, non-surgical spinal decompression treatment, radiographic and MRI analysis. Dr. Mubarak is dedicated to helping people receive optimal health through Chiropractic care. He speaks at local community groups, churches, schools and different occupational places.